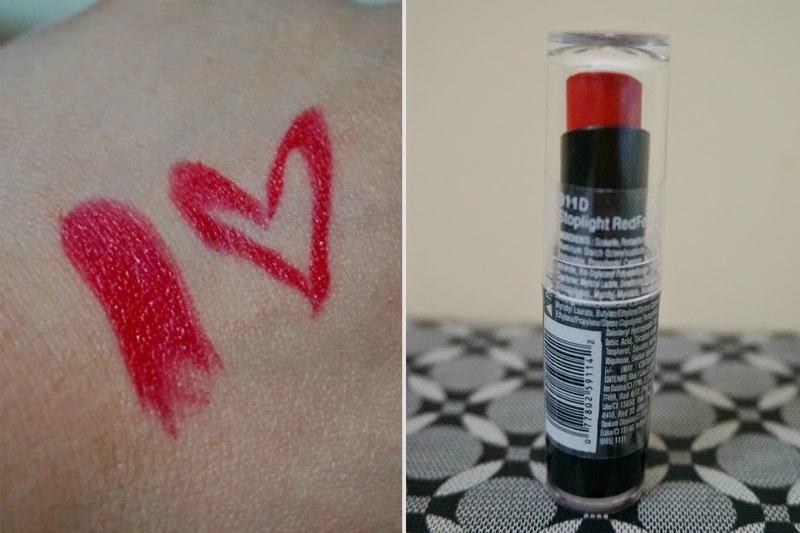 This 4-hour, longwearing lip color leaves a semi-matte, crème finish in one stroke. 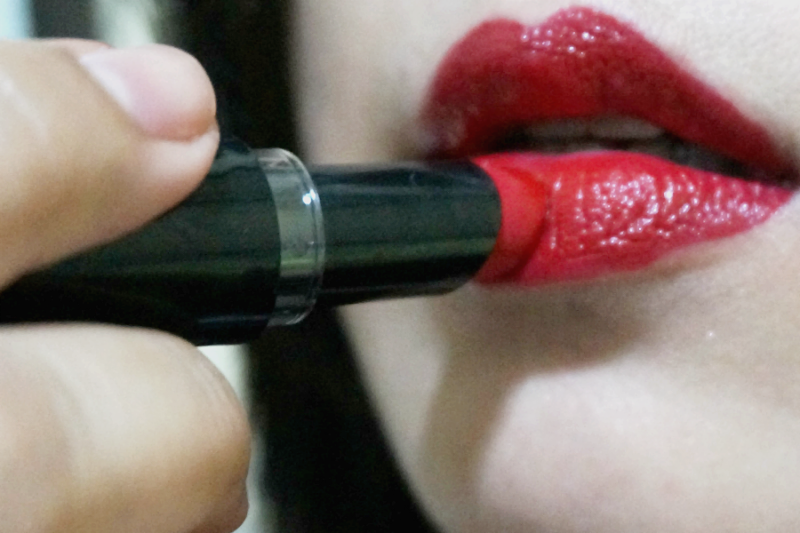 Glides on easily with rich, velvety color that doesn't cake, feather, or bleed. 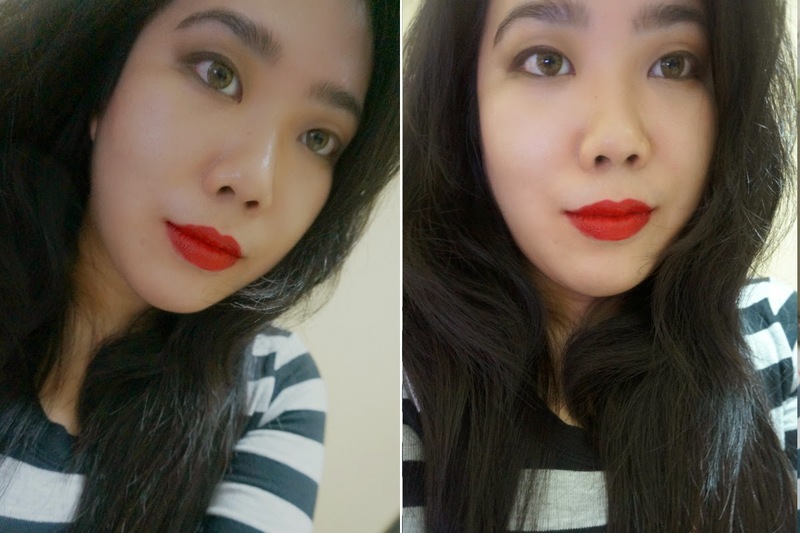 Wet n Wild'd Stoplight Red (911D) is a bright true red, the color is perfect for those looking for a neutral red for day to day use. This classic red color would never go out of style. 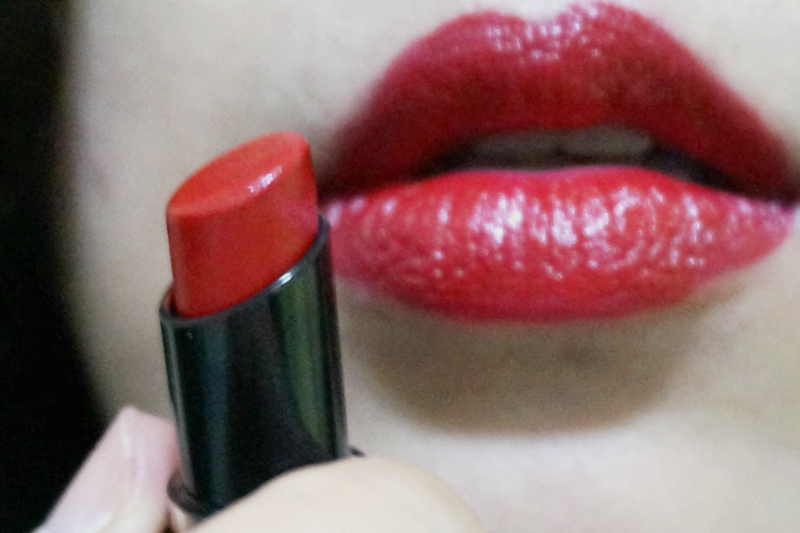 This shade is considered a dupe for MAC's famous Russian Red. 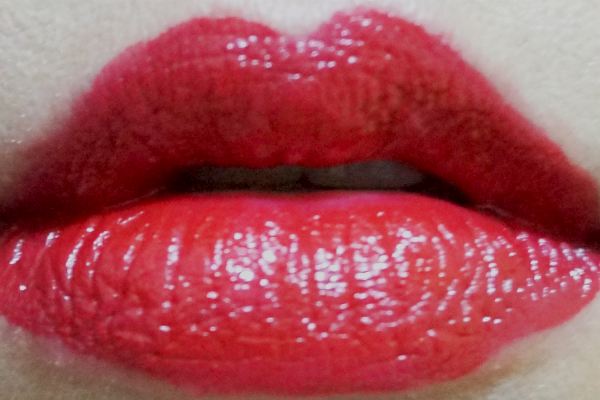 Wet n Wild's Stoplight Red applied satiny and opaque, with the color very buildable. I didn't have any trouble packing it in. You can apply once or twice for a sheer look or add more coats for impact and drama. 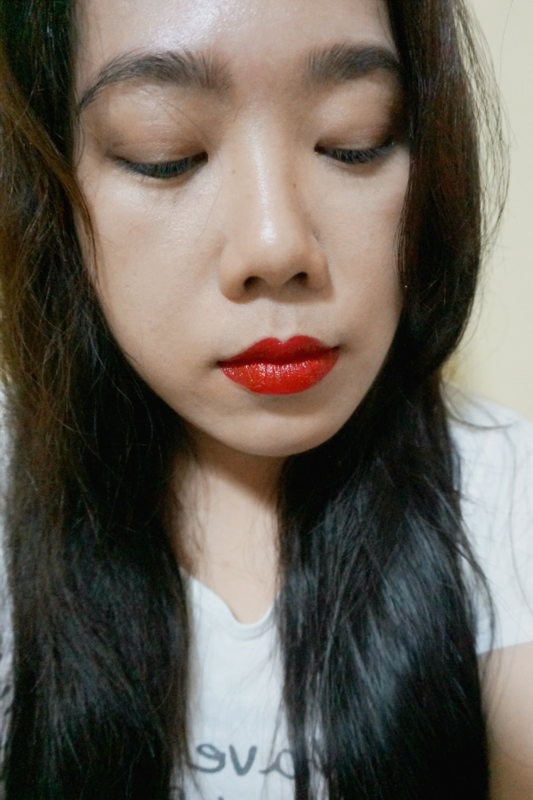 I really liked this shade of red as it instantly brightened up my whole face. 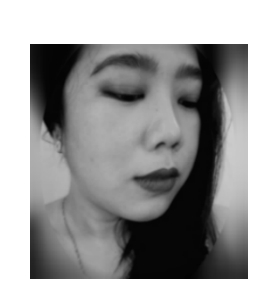 This is another good option for me besides my go-to dark red NYX Snow White whenever I want to wear a more subtle red lip look (*not that any makeup can be called subtle with red lips). 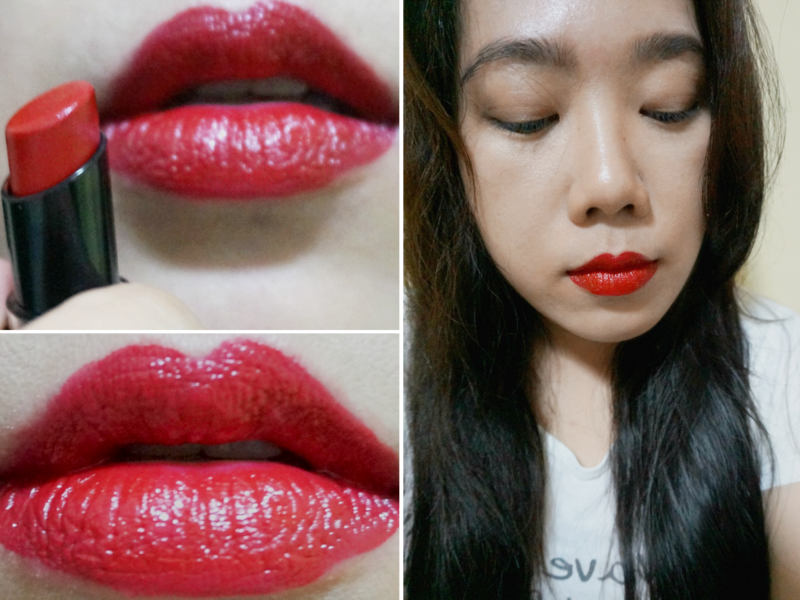 Check out my reviews of other Wet n Wild Mega Last Lipsticks: Sugar Plum Fairy, Stoplight Red, Cherry Picking, Cherry Bomb, 24 Carrot Gold, Just Peachy, In the Flesh, Bare It All, Think Pink, Coraline, Sweet Cream, and Bordeaux Boulevard.